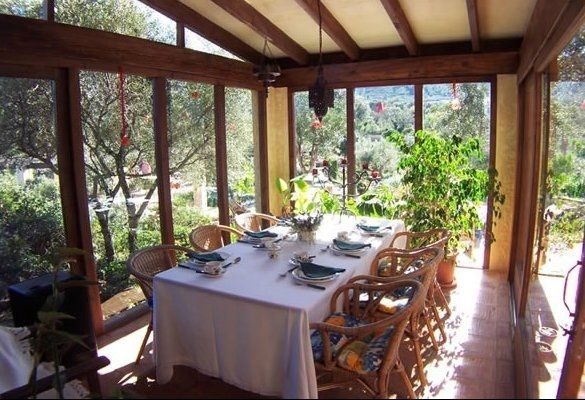 This would be the perfect country venue for a special celebration as you can book private parties here. It's a colourful setting which would look wonderful in photos. 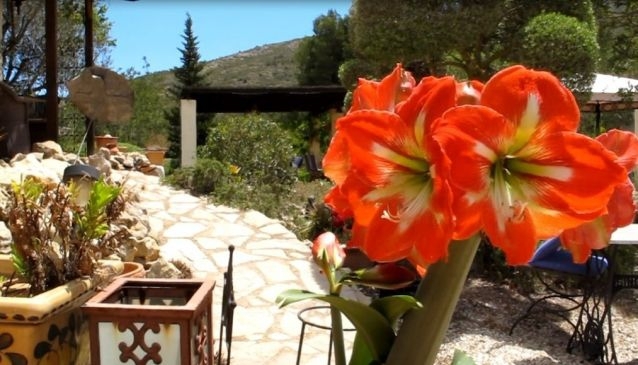 The Lavender Gardens in the Jalon Valley is a delightful haven for gardeners, nature lovers and artists, who will appreciate the beautiful flowers, fabulous views and relaxing atmosphere. Stepping through the lavender door is like walking into a secret garden, full of wonder, which appeals to all the senses. The brilliant colours and impressive mountainous backdrop are an artist's dreams. 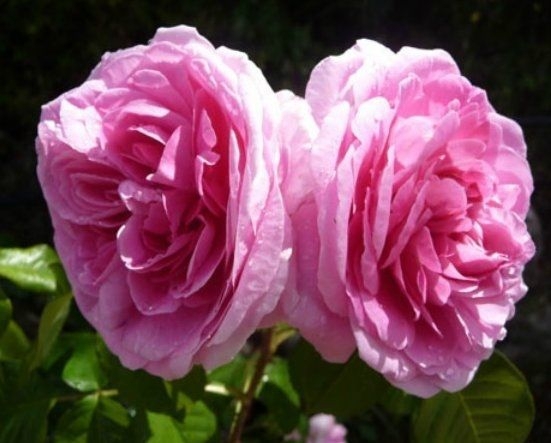 The aromatic mix of lavender and roses fills the air as you wander through from flower bed to flower bed. 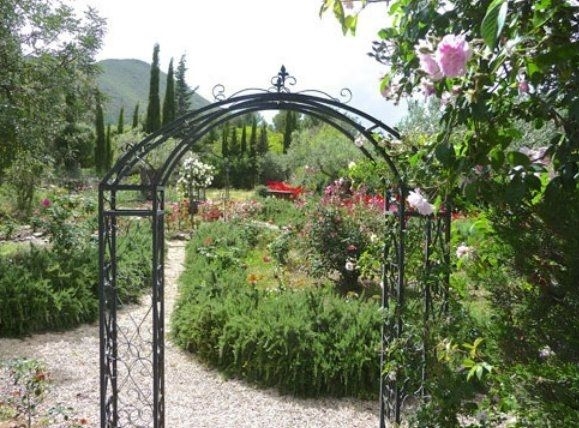 The Lavender Gardens in the beautiful Jalon valley is an amazing Mediterranean garden with thousands of aromatic lavender plants along with other flora and fauna, including beautiful roses. You can walk along the pathways to enjoy nature at her very finest. You can seek out quiet, peaceful places to sit and admire this impressive haven. 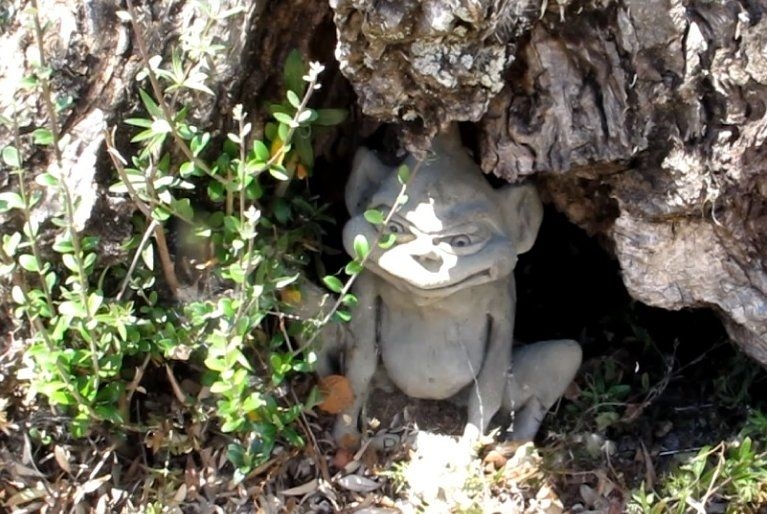 Seek out hidden friends in tree trunks, ponds or flowerbeds. This is an amazing place to enjoy a relaxing afternoon where the only sound is the sweet tinkle of the wind chimes fluttering in the breeze. During your visit you can also buy lavender oil or potpourri as a reminder of your visit. 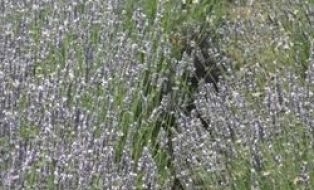 Lavender oil is very versatile, used in both medicine and beauty treatments, as it soothes burns, bites and headaches, and can ease stress symptoms. Master chefs can dream up special menus featuring lavender in dressings, desserts or teas. 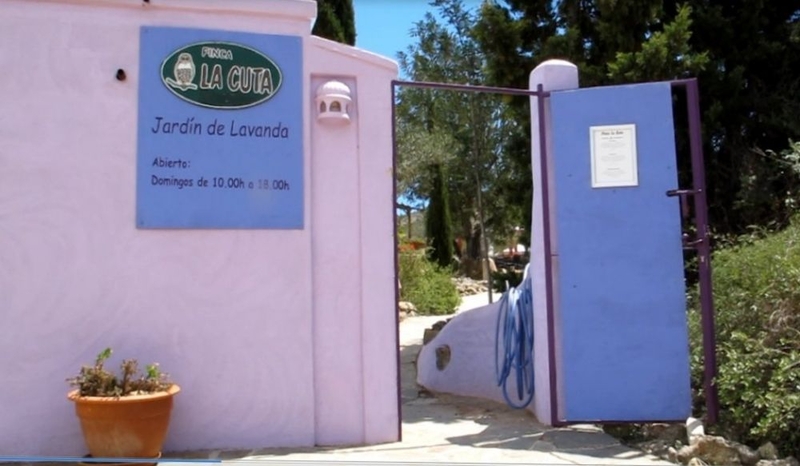 The Lavender Gardens at the Finca La Cuta, just off the road from Jalon to Benissa, is open from 10am every Sunday. You can also go there for breakfast on Sunday only from 10am to 1pm although the gardens are open throughout the afternoon. 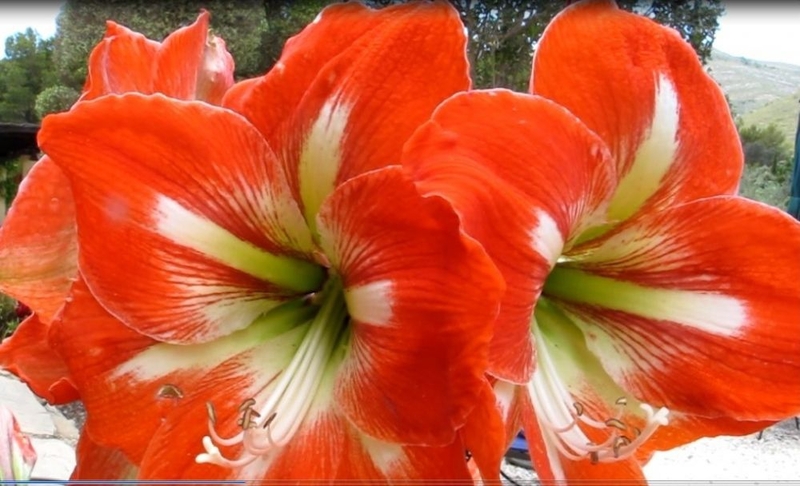 From June 1, 2015, the gardens will be open from Wednesday to Sunday from 10am -8pm. 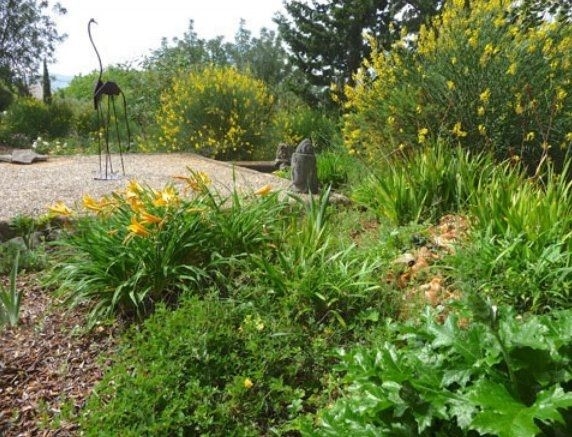 Entry is €3 which is a contribution to the upkeep of these gorgeous gardens. 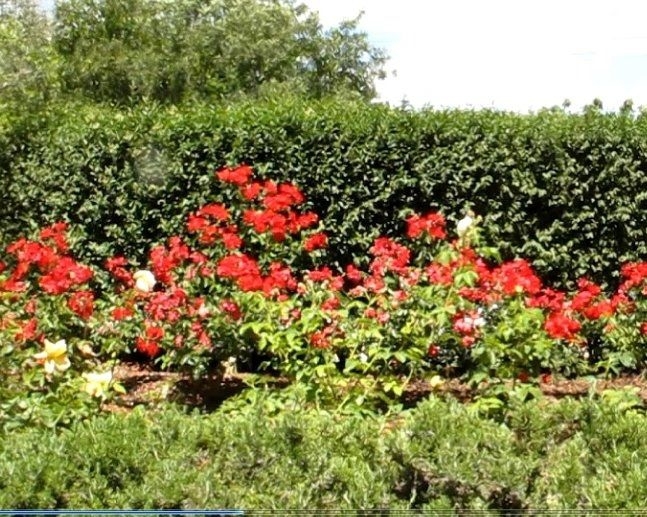 You can also book private visits or parties at other times. 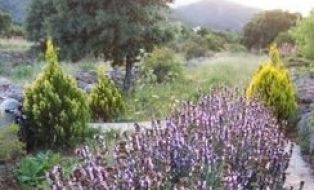 The Lavender Gardens hosts special events including live music and a very special Lavender Festival in June when visitors can help pick the lavender. For further information about open days or booking a party, please send an email by clicking here. 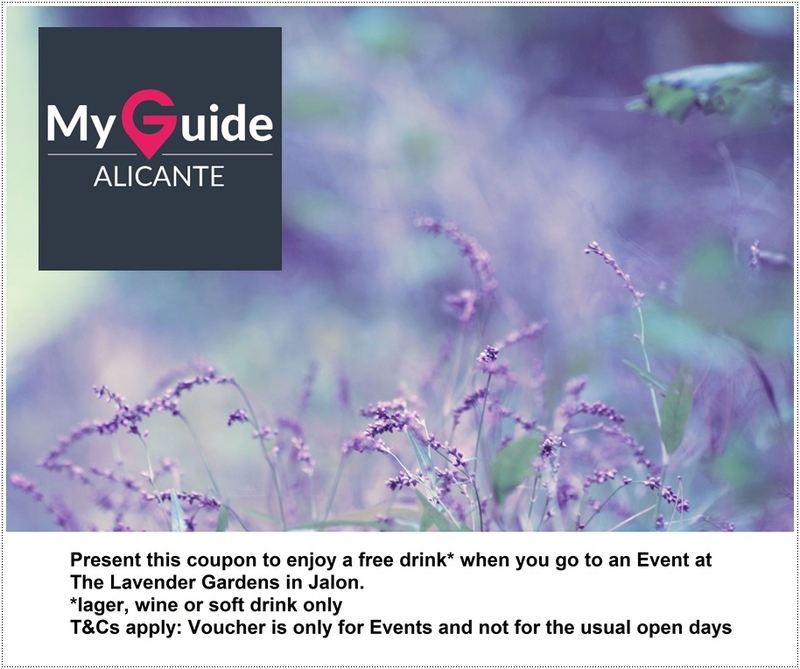 Please download and print the coupon below to enjoy a free drink at any paid-for Events at The Lavender Gardens. Please note this cannot be used for the usual Sunday open days but for organised special events such as live music. Have a drink on us!